OpenVCE is a virtual world collaboration region created for the Open Virtual Collaboration Environment (http://openvce.net) in conjunction with Clever Zebra and released as open source assets under the LGPL licence. 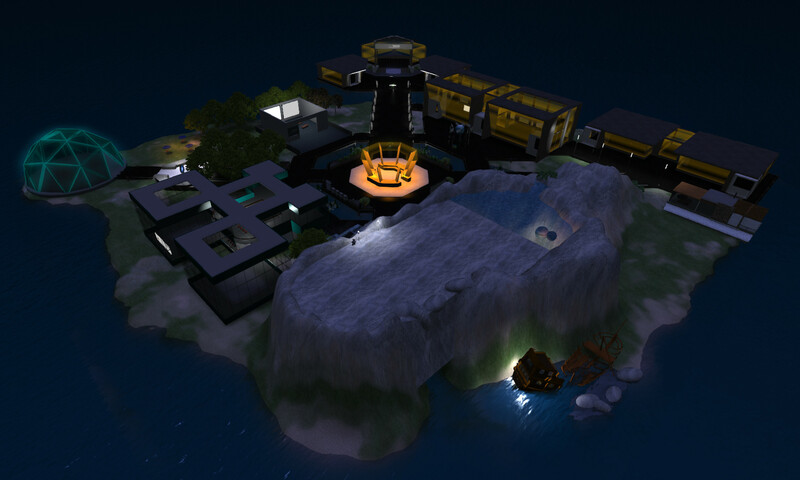 It has existed in Second Life since May 2009 and has been available in OpenSimulator from shortly after that. The most developed version of this region has been on the US government’s MOSES OpenSimulator grid. OpenSimulator Archives (OARs) allow for a simple backup, restore, archiving, distribution and recreation of such regions. The MOSES OpenVCE region has been ported to a Virtual University of Edinburgh (Vue) region added onto the freely and openly accessible OSGrid on which anyone can create an avatar. It has also been ported in its same form to the “OpenVCE” and Hedland” regions of the main Open Virtual University of Edinburgh (Openvue) OpenSimulator Grid. This entry was posted in OpenSim, OpenVCE, Second Life, Virtual World and tagged OpenSim, OpenVCE, Second Life. Bookmark the permalink.